We loved these disney inspired wedding invitations we did recently. 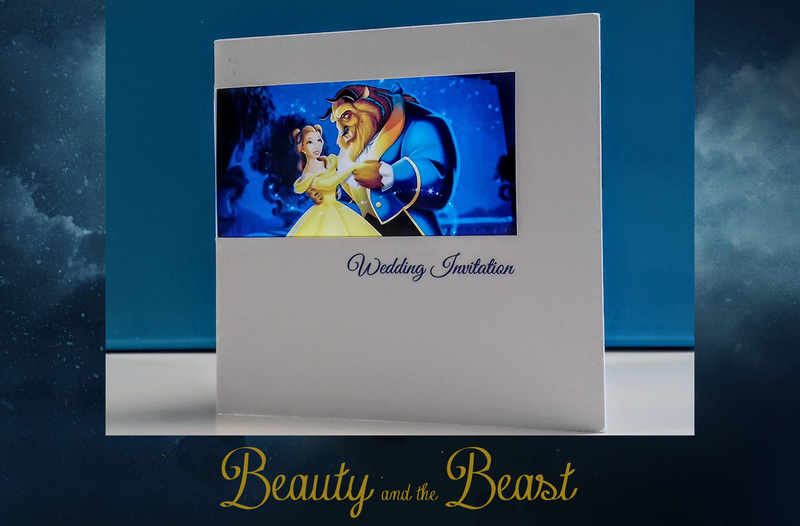 Nicola and Anthony wanted a Beauty and the Beast themed wedding invitation. They sent us their photo and we designed a motif that appeared on all their stationery using an image of the famous rose in the looking glass. The overall effect is stunning and seeing the light coming their Beauty and the Beast image is really special.